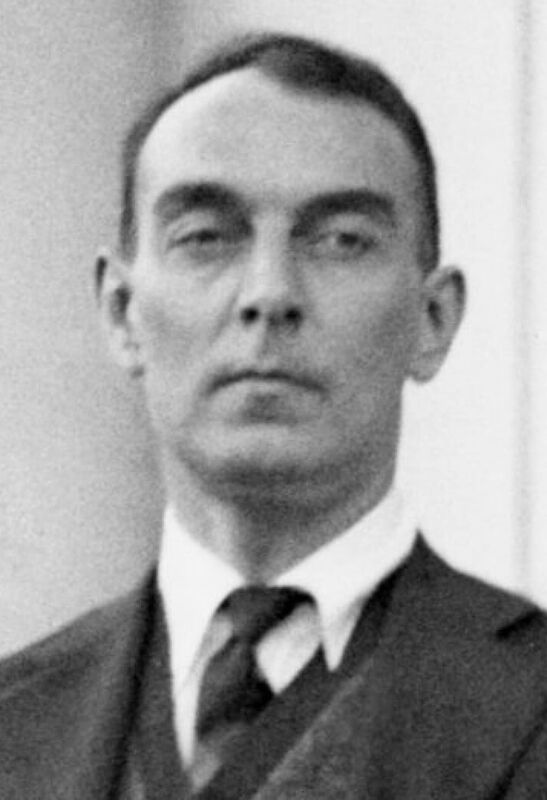 Ringgold William "Ring" Lardner (1885 - 1933) was an American sports columnist and satirical short story writer who enjoyed poking fun at revered institutions such as marriage, theater, and sports. His works were admired by his contemporaries, renowned authors Ernest Hemingway, F. Scott Fitzgerald, Virginia Woolf, and J.D. Salinger. Born in Niles, Michigan, the youngest of nine children in a wealthy family, Lardner knew he wanted to be a newspaper man early on. As a teenager, he began work at the South Bend Tribune , then moved on to the South Bend Times , before moving to Chicago where in 1913, he published a syndicated column in the Chicago Tribune , titled "In the Wake of the News." It was carried by over 100 newspapers, stories ranging from sports to World War I dispatches, and the 1920 Democratic Convention. In 1916, Lardner published his first successful book, You Know Me Al , a collection of fictional letters by a bush-league baseball player, loaded with satire about athletics' propensity for stupidity and greed. Some of the letters were published as short stories in The Saturday Evening Post the same year. Lardner's love for writing about the game faded after the "Black Sox Scandal" when the Chicago White Sox sold out the World Series to the Cincinnati Reds. Lose with a Smile (1933) was his last published collection of fictional baseball writings. In addition to sports, Lardner admired the theater, and co-wrote a three-act play which made it to Broadway, called Elmer The Great , with the legendary George M. Cohan. Fun facts: Lardner inspired F. Scott Fitzgerald's tragic character, Abe North in his most famous and final novel, Tender Is the Night (1934). They were friends, loved jazz, and shared the same book editor, Maxwell Perkins, who introduced Lardner to the young, admiring Ernest Hemingway. Apparently, Hemingway wrote for his high school newspaper, often using the pseudonym, "Ring Lardner, Jr."
Lardner's cultural impact continues, with J.D. Salinger's reference to Lardner in two of his works, The Catcher in the Rye , in which Holden Caulfield says, "My favourite author is my brother D.B. and my next favourite is Ring Lardner." Though not as well known as the many authors he influenced, Lardner's lasting gift was the unique quality of his dialog. Author John O'Hara observed, "If your characters don't talk like people, they aren't good characters." Lardner died of tuberculosis in 1933 in East Hampton, New York.